For reasons unknown the family left Queensland for Victoria. One could only begin to imagine the harsh work environment on the Dalby Toowoomba railway line. Perhaps the work ran out, maybe John, a contract worker had fulfilled his obligations and Victoria offered a more attractive destination. What we do know is John and Harriet have 5 children including 2 toddlers. It would have been a big call to travel the near 1000 miles from Toowoomba to Melbourne - about the same as London to Gibraltar. Unfortunately tragedy awaited the family and plunged them into poverty for at least two generations. Having left Queensland I cannot find any record of the family residing elsewhere other than in the Colony of Victoria (other than John STONE travelling to Launceston Tasmania for work and being killed in railway accident). The new domicile of Harriet and the STONE children was to be Collingwood Melbourne in the Colony of Victoria. From 1836 to 1851 the region now known as Victoria was administered from Sydney. The illegal squatting of land prompted the decision in 1836 to recognise the area as the Port Phillip District of the Colony of New South Wales. In 1843 the reformed Legislative Council of NSW included 6 elected representatives from Port Phillip District. Lieutenant Governor Charles LA TROBE was appointed as the Crown’s representative. This was viewed by the locals as an empty gesture and agitation grew for separation. In 1850 the British Parliament passed legislation creating three new colonies – Victoria, South Australia and Tasmania. Victoria was named for the reigning monarch Queen Victoria. On 1 July 1851 Victoria became self governing with a Legislative Council and the appointment of the first Governor Charles HOTHAM . This was a difficult period in the new Colony’s history managing all the pressures and chaos associated with the gold rush. The Council set about drafting a Constitution between 1853 and 1854. Victoria established its first Parliament on 23 November 1855 and William Clark HAINES became first Premier. In the spring of 1856 elections were held for the Legislative Council and sworn in 21 November that same year. However this was a period of great volatility and Government changed 29 times between 1856 and 1901. ‘Between-colony migration in the 1860s was a dawdle if you could afford a coastal steamer, or weren’t averse to tramping or riding your bluey north-south along the goat-tracks between Sydney-Brisbane-Melbourne. Not a trip you’d attempt on foot more than once in a lifetime, or on a whim, however. Of course if you had saved up enough, and didn’t mind the torment, travelling by stagecoach was another alternative for an interstate trip. There was no rail connection between New South Wales and Queensland until well after 1875. We mention this because there are almost nil records relating to inter-colony migration within Australia to look up’. Most likely travel was by sea given the time frames we have established. Whether they got off in Sydney and then went overland we do not know. It’s worth noting that a number of John and Harriet’s family did at various times reside in Sydney so there may have been a connection of sorts. After what appears to be a brief stay in Queensland in or around Toowoomba and Dalby we do know the STONE family ultimately arrived in the Colony of Victoria where they remained for 5 generations. The STONE family arrived in the fledgling new Colony of Victoria which must have presented as chaotic and uncertain as the one they had left. Their arrival in Victoria coincided with the second wave of railway development in the Colony hence there would have been plenty of work as a plate layer. However for whatever reason John delivered his family to Collingwood, Melbourne and travelled to Tasmania where he was employed on the Launceston railway line. The Launceston and Western Line railway operated between Deloraine and Launceston with the principal purpose of shipping agricultural products to the Crown Colony of Victoria. It was a private enterprise line funded by The Launceston and Western Railway, a listed company and the Tasmanian Colonial Government – what we would today term a private public enterprise, that is a joint public private sector venture. The company was formed on 9 May 1867 and the first sod turned by the Duke of Edinburgh who was on a visit to the colonies on 15 January 1868. The contract was let in July 1868 and construction progressed the following 18 months. It was during the construction phase that John Stone was killed. It is likely that John Stone was recruited to the project, whether from Queensland or Melbourne is uncertain. Given the cost of travel between the colonies and the journey undertaken by John in relocating his family to Melbourne and him then travelling onto Launceston, Tasmania someone or a company was likely funding his relocation. Many of the workers on the railways in Queensland had not been paid and John presumably among them. His daughter Harriet had been born in Dalby 7 March 1868 so presumably it would have been some time after her birth the family travelled ‘south’. What we do know is that having arrived in Victoria he then left the family in Collingwood, Melbourne while travelled to to Launceston. This arrangement is confirmed in the letter found on his possession from his wife Harriet at the time of his death. The Coronial Inquiry confirmed that he was a ganger3 and that when killed he was not doing his usual job. He had jumped between the shunting carriages to help out. This job of coupling and uncoupling carriages would have been the function of a railway guard. At the time of John’s death the railway was still under construction. Completion date for the line had been set for 10 March 1870 but following delays it was not until 10 February 1871 that the line was finally opened by the then Governor. In his new work environment far from Plymouth he was surrounded by familiar names – Devonport, Launceston and Tamar River. On what date John arrived in Launceston is a matter of speculation – perhaps it was early 1869. He was subsequently killed in a railway shunting accident on Monday 6 September 1869 at the terminus of the Launceston and Western Railway works where he was according to the Coronial Inquiry a ‘ganger’. According to the Coroner Mr. Thomas Mason Esq, a letter on John’s possession indicated that he had come to Launceston to gain employment before moving his family to Tasmania. He was buried in the Cypress Street Cemetery in Launceston. The cemetery was given over to a public park in 1953 notwithstanding that up to an estimated 30,000 people were interned there including some of Tasmania’s most prominent pioneers and four First Fleeters – unbelievable. On any view 1869 was a challenging year for Harriet and what ‘dreadful tidings’ it must have been to receive the news of John’s death and probably sometime after the tragedy and burial. The tyranny of distance meant that telegraph was the quickest means of communication in Australia. The telegraph had been laid between Tasmania and Victoria by 1860. She may not have known of John’s death or his burial when Amy was born 5 days later on 11 September 1869. The child’s death on 2 December 18697 would have rounded off a dreadful year. John was described as the father on the infant’s birth and death certificates as a ‘plate layer’. The family are listed as living at 2 Yarra Street, Collingwood. In listing the children of the marriage on Amy’s Birth Certificate there is no mention of the stillborn child referred to in the Birth Register in Queensland of Elizabeth Anne and Harriet (see below). Little doubt the upheaval and turmoil of travelling to a new continent, the hardship of Queensland, the death of two children, her husband and the failure to meet expectations in a new land had taken its toll. 1869 was a tragic and tumultuous year for a woman to be widowed in a new land with children aged 9,8,6,2 and 12 months. However by all accounts she remained a resilient person. A sequel to the story is that John had a little sister Amy Goad STONE who lived briefly in 1842. It may be a coincidence but just perhaps this child was named for his infant sister in her memory. One can only speculate that notwithstanding John’s absence in Launceston and death before Amy’s birth he and Harriet had agreed names for their new child. Finding John STONE and what became of him was one of the most challenging aspects of my research. One family source claimed John had been killed in an accident on 17 August 1933 (that would have made him 97 years). Another family source (a surviving 86 year old grandson of William Henry aka Billy STONE, John’s eldest relayed to me that his family were told John was killed in a railway accident; that same information was independently corroborated by two other surviving granddaughters of Billy both in their advanced years). Notwithstanding over a two year period I struggled to find John compounded by the fact that John STONE is a far more common name than I had imagined. By 1874 Harriet had a new partner, a house painter from New York named Edward POOLE. The arrival of Edward POOLE the painter and decorator from New York on the scene would have been timely for a 31 year old widow with 5 young mouths to feed having lost her husband and youngest child within the space of 5 days. Post John based on subsequent Birth Death and Marriage records the family (Harriet and her children) appear to have mostly resided in the area bound by Collingwood, Fitzroy and Abbotsford. Collingwood was declared a separate municipality from Melbourne from 1855 becoming a town in 1873. It was one of the three major growth and population areas alongside Geelong and Melbourne. There is also a STONE family connection to the Midlands of Victoria namely Maryborough, Dunolly, Adelaide Lead and Waanyarra. The next generation of family members (in particular Emma and Elizabeth Anne) are residing in these various communities. Their subsequent generation do not venture far from where they initially put down their roots. In contrast and in parallel on the lateral maternal side (deriving from Ellen WAINWRIGHT) family members were widely dispersed over successive generations through the Victorian rural hamlets and townships of Portland, Hamilton, Heathcote, Warrnambool, Sea Lake, Chetwynd, Cardigan, Burrumbeet, Harrow, Apsley, Coleraine, Merino and Casterton. They were also to be found in Geelong, at one point the largest population centre in the colony. The two main hubs for the lateral maternal lines through the generations were Ballarat (central to the gold rush) and Swan Hill. The respective DEVINE families figure prominently in Ballarat; the SANDIFORDs in Sea Lake and Swan Hill. In 1876 Harriet gave birth to Richard POOLE.10 She does not appear to be cohabiting with the father Edward POOLE who is living at a separate address at 158 Little Collins Street, Melbourne. Edward is clearly identified on the Birth register as the father. In 1878 Harriet gave birth to Charles. The birth register does not specify a Christian name. We only know that this is the son Charles from Harriet’s subsequent Death Certificate where her three sons are named . The father is listed as Edward POOLE and the mother as Harriet STONE . Both are living at 16 Sydney Road, Collingwood11. Also living at the Sydney Street address up until and after his marriage in 1885 was William Henry aka Billy STONE, Harriet’s eldest.12 At the time of his marriage in 1889 Harriet’s other son Edwin aka Ned STONE was also living at the same address.13 The three young POOLE’s - Edward, Richard and Charles - would have been 15, 13 and 11 respectively. Clearly the STONEs and POOLEs were well acquainted with each other. Harriet was at times using her maiden name (or variations of it) and her married name STONE. In 1911 Edward POOLE and Harriet STONE married.14 Harriet gave as her occupation ‘lace worker’; the same description in the marriage register in Honiton dating from her marriage to John. Perhaps this was a sentimental gesture on her part as Harriet had elected other occupations when described on various birth and marriage certificates of her children. As the STONE children married when it came to describing their father John his status and occupation the notations varied. Emma the second eldest was first to marry in September 1880 to William Albert THOMAS15. She refers to her father as a ‘carpenter’ and it is noted in the marriage register that Emma is married ‘with the consent of Harriet Poole, mother of the bride’. Emma is 17 years of age and the family’s residential address is given as Perry Street Collingwood. Elizabeth Anne aka Annie the fourth eldest was next to wed in 1884 at age 17 years to William Harvey THORP.16 Her father John was referred to as ‘William STOE’ an ‘engine driver’. The information contained in the marriage register is very scrappy and in part indecipherable. Elizabeth’s marriage by reason of her age is consented to by the local Police constable. The register reads ‘with the consent of Charles Warburton Carr, Police Magistrate empowered to consent to marriage of minors’ . No family members are witnesses to the marriage in Maryborough situated some 165 kilometres north west from Melbourne. Either Elizabeth was estranged from her family alternatively married without her mother’s knowledge or it was too great a distance for Harriet to travel. Also at about this time Harriet had renewed family responsibilities of her own with Edward POOLE’s offspring. The name William rather than John appears in the Register which has led one branch of the family to refer to John as William John in their family tree and this has gained traction in a STONE THORP family over time. Bearing in mind that when John died in 1869 Elizabeth aka Annie would have been 2 years of age and she would not have known her father or necessarily heard his Christian name spoken. Perhaps she made the assumption that her eldest brother named William was named for his father, a common practice at the time (as it was to name the second eldest son after the wife’s father). A more likely explanation is that William, husband to Annie has been confused with her father John in the paper trail. William Harvey THORP died 1933, the date attributed to John STONE in the tree referred to. STOE we attribute to a spelling mistake, also the reference to the mother Harriet as LADD. Elizabeth’s Death Certificate is more complete in 1957 and describes the father as ‘John Stone, railway employee’ and ‘Harriett Stone, formerly Loader’. D. Stephens was authorised agent and informant for the purposes of the death register and had accurately collated the required information.17 William Henry aka Billy the eldest married Margaret Ellen MARTIN next in 1885.12 His marriage certificate referred to the father as a ‘platelayer’. He was residing at Sydney Street, Collingwood at the time of his marriage. He also described his mother as ‘Harriet Stone’ . Our direct line Les, Leo and Ronnie were all born prior to Harriet’s death yet we (generations three and four) have no recollection of Harriet being spoken of. Nellie STONE knew everyone and everything about Collingwood and the people who lived there. She could reel of the most intimate details about family connections. Nellie could point out the various houses around Collingwood ranging from where she was born to where she raised her family. She could do likewise for her husband Big Les’s family. Nellie was a walking encyclopaedia when it came to the family history in Collingwood. Nellie died in 1990 and was lucid to the end. Notwithstanding Harriet never figured in any of the oral history passed on by her. The explanation may lie in the fact that Nellie STONE was a devout Catholic, a daily communicant at St. Joseph’s Catholic Church in Collingwood who had, as she was fond of recounting ‘turned’ her husband Big Les to ‘the Church’. That in itself reportedly alienated Nellie from other members of the family who were of Anglican and nonconformist persuasion (Congregational, Methodist, Presbyterian and Baptist). The grandmother in law living ‘in sin’ up the road (Sydney Road to be precise) may have been ‘sent to Coventry’ in the process. 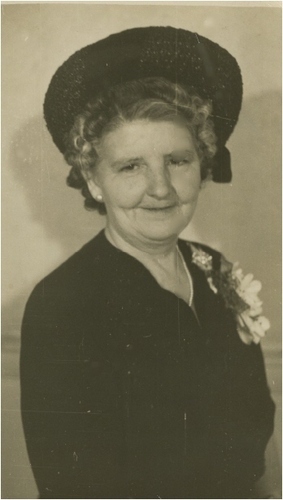 Nellie aka Nana STONE could be very judgemental and when it came to religion and politics, it was all very ‘black and white’ – Catholic and Labor to the core. This was a period of great confrontation between Catholics and other faiths and there is little doubt that Nellie and Big Les were estranged from the extended STONE family. Also perhaps Nellie was not as well informed on the goings on as I might have assumed. I spent countless hours with Nana STONE to fulfil a commitment to my dying father – “look after her”. It is a matter of great regret that in our many conversations about the family not once did I touch on John and Harriet. In fact I didn’t know of their existence. I often passed the time listening to her recount stories about her family but since I had only a passing interest in genealogy 20 years ago I missed an opportunity. The mystery of Harriet STONE is compounded by the fact that until this research was commenced none of the third generation were aware of the foregoing (confirmed by Betty STONE still living who has a recollection of the names POOLE and DOBELL22 being mentioned but nothing more). Nor did the fourth generation know about Harriet STONE who at 73 years married her lover Edward POOLE, the father of her three sons. The three sons lived and raised families in Collingwood yet the name POOLE was never mentioned. 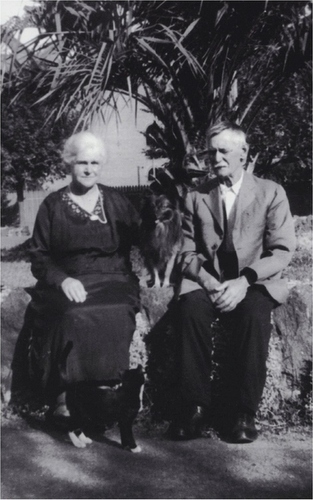 The eldest son Edward POOLE at the time of his death in 1948 was described as a ‘hatter’ having married and resided in Collingwood 75 years and was living at 15 Yarra Street, Abbotsford.23 His brother Richard had also married and resided in Collingwood for 79 years at the time of his death in 1962.24 He followed his father into the trade as a ‘painter and decorator’. Charles was a ‘plumber’ according to his death certificate and lived his 92 years in Collingwood married and with two sons25. Likewise Edward and Richard both had offspring. Coincidentally Peter STONE (5th Generation) a plumber and son of Ronald James STONE (4th Generation) recalls working for a POOLE who was a plumber in Collingwood over 30 years ago. Likewise when living members of the POOLE family were identified and contacted they had no knowledge of the STONE relationship. 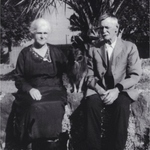 Past John and Harriet we have not detailed the life and times of their respective children save for Ned STONE – my great grandfather. I have simply reverted to a genealogy of births, deaths and marriages that are to be found under their own tab on the website styled Lateral Families. I am aware that members of a number of the lateral families both in Australia (THORP and FLETT) and in the UK (STONE and VERRAN) are working on their ancestry and family history. I have been delighted to make the connection and share my research in a collaborative way.